Simple and beautiful | Kaprise! I know I promised to share by project last week, but after making two dozen spanikopita triangles and a huge crowd of stuffed cabbage in spicy red sauce, I was pooped. Not to mention the week I spent stressing about school and staying up all night…. so the minute I roasted my last ribeye stuffed cabbage, I was out like a light on the floor…. My puppy woke me up when she came over with her prickly little whiskers to sniff my face and check for doneness. Clearly, in such an incapacitated mental state of frenzied studying and frenzied cooking for stress relief…. I took 1 picture. 1. Out of 4 hours of cooking… 1 single picture. So it works wonderfully, that I didn’t love either recipes I concocted. So, until they are perfect? I will withhold! I do have tons of new recipes that I’m playing with…. port reduced portabellas, perfect ribeye steaks, pilaf, wheatberry salads, and RICOTTA GNOCCI! 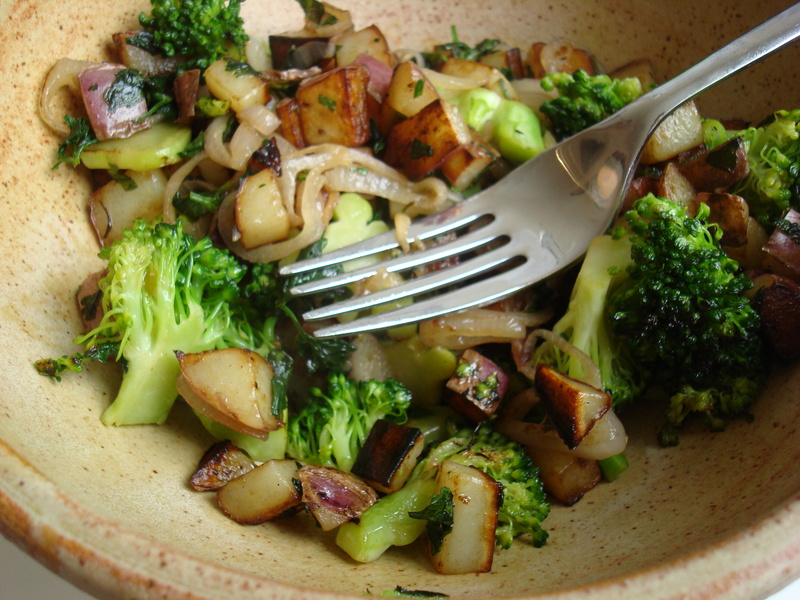 but, until I get my law school brain sorted out and my pictures uploaded and edited, you’re stuck with….. broccoli. Now, this is not rocket science, nor is it the most brilliant recipe. However, this is a wonderful way to get a full serving of greens and have a healthy lunch that uses up some leftovers! 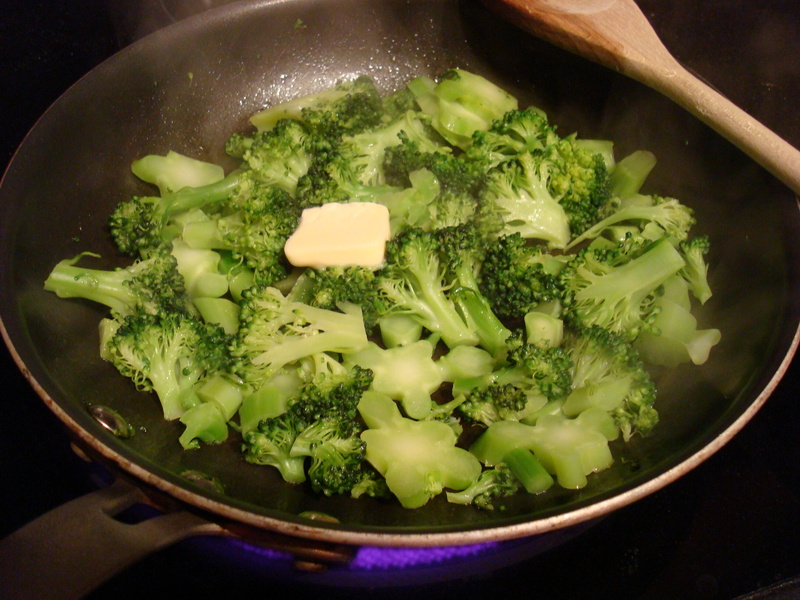 Heat a fry pan, toss the broccoli in with a few tablespoons of water and cover until the broccoli is bright and tender. My last version – I omitted the wheatberries and used a small potato I had knocking around in my fridge with the onion. I ate this with a little wedge of toasted bread.